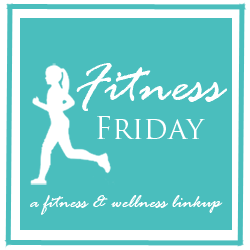 This is my first fitness Friday post, I could say I’m excited but I’ll be lying. I don’t have a story, I was never fat or overweight, well, I don’t look overweight is a better statement but I do have a sweet touch and I am gaining weight so it’s about time I nip this thing in the bud. I HATE exercising so it’s never something I look forward to but I want that killer body and some fool said I have to work for it. I know diet plays a big part and I have a lot of work to do in that department but for now one step at a time. I will be starting the Focus T-25 workout by Shaun T on Monday, I always say I’m going to start working out but always find an excuse when the day comes. Now I’m putting it out there so I can be more accountable, if anyone has the programme and want to do this with me I’ll be eternally grateful because I am more likely to stick to it when I have accountability buddies. Have you done this programme before? Let me know what you think of it. OMG Ebony, I just checked out Jillian Michaels body revolution and I want it lol I was thinking about getting P90X 3 because I wanted to get a short workout that utilizes weights, almost everything I have is cardio but I'm going to get this instead. Two months of gym will cost me the same as these beachbody workouts, at least this way if I do just 2 days I don't loose out on my money. The only time in my life I consistently exercise was when you were my accountability buddy so I'm grabbing the offer, look out for my Twitter messages!